Symbology (sim-'bä-lə-gē) noun 1. the art of expression by symbols. 2. the study or interpretation of symbols. 3. a system of symbols. 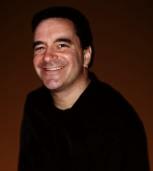 Jefferson Harman is a Symbolic Intuitive, Dream Interpreter, Radio Personality & Writer who reads the symbols present in your dreams & everyday life. By interpreting this invisible language, he identifies your blocks and challenges and ways to overcome them. He has been actively studying the relationships among metaphysics, psychology and anatomy for over 25 years. Jefferson is available for private readings in person, by phone and through Skype (see contact information below). He conducts workshops on various topics including Dream Interpretation, Overcoming Your Phobias and The Healing Power of the Mind. In his workshop series, New Thoughts, New Lives®, Jefferson explores the transformative power of Affirmation. He also teaches workshops in Origami as a meditation tool to promote World Peace. Jefferson is a recurring guest on “Life Unedited” with John Aberle, on WCHE Radio 1520 AM, in the Philadelphia area on the first Saturday of each month - listen live at http://www.wche1520.com/lifeunedited.htm. Listeners can call in to have their dreams interpreted LIVE on the air and are welcome to ask questions on dreams, phobias and more. See Calendar for show schedule & times and occasional rescheduling. Jefferson's podcast series Everyday Symbology® is available at iTunes and on the web. The show includes interviews with holistic practitioners, artists and musicians, presenting topical discussions on all things holistic and metaphysical. Jefferson also has a book in the works by the same title. Jefferson writes a regular column entitled “Night Sailing”, originally printed in the holistic publication MARCI Magazine. In each article he interprets dreams that readers have sent him via email. Send your dream to jefferson@everydaysymbology.com. He also contributed articles and book reviews to the magazine, which will be reposted over time to this website. Jefferson is a former Member of the Board of Trustees of the Holistic Mentorship Network and the former Chairperson of the HMN Publishing Committee, which included the Network's flagship publication, MARCI Magazine. He is also a Board Member of the Pompton Lakes Residents for Environmental Integrity (PLREI). He is available for private readings in person, by phone or using Skype. You can contact Jefferson to book an appointment at the info below. If you would like to support our work, you can make a contribution by clicking the button below. Many thanks! If you typed Jefferson Harmon into your search engine, you have reached the site of Jefferson Harman, the Dream Interpreter. Welcome!